The love Yurt: Our lovely yurt is perfect for a romantic break away. The yurt is located in the woods by the side of Sopley Lake. The yurt is also suitable for families, sleeping up to adults and to 2 children if required. Facilities includes a double bed and two single floor mattresses. 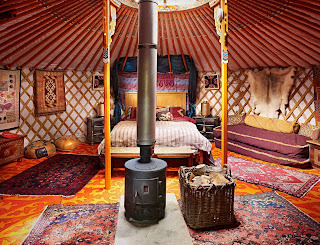 The Maharaja’s Yurt: This yurt is hand painted and stylishly furnished. 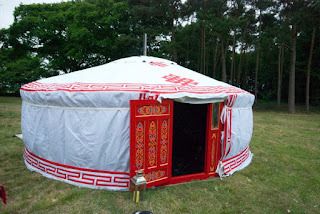 The yurt has an Indian theme and sleeps up to 2 adults and 2 children. The view from the yurt overlooks Sopley Lake. Behind the yurt is a meadow and stream. The Elephant Yurt: Our largest yurt sleeps up to 4 adults and 4 children in two double beds and four single pull out floor mattresses. 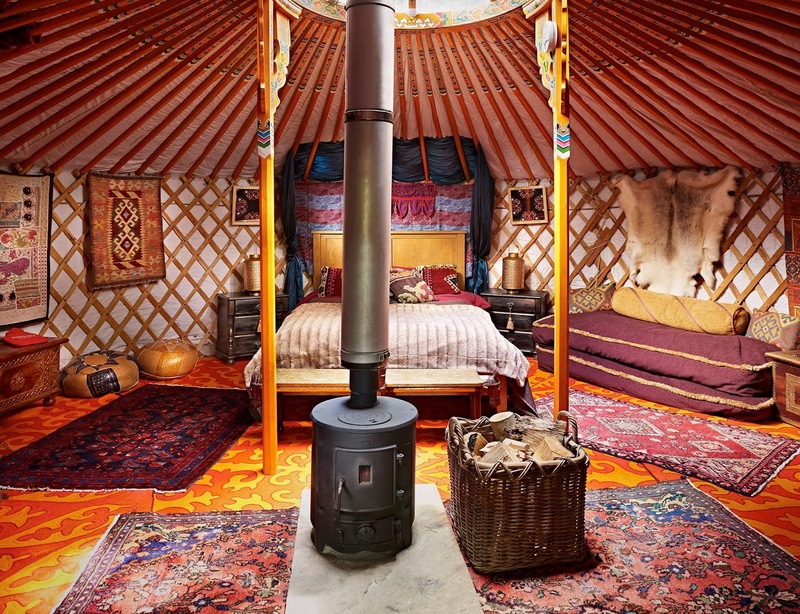 The yurt is brimming with luxurious furnishings from Uzbekistan, China, Mongolia and India. You can admire views over Sopley Lake.